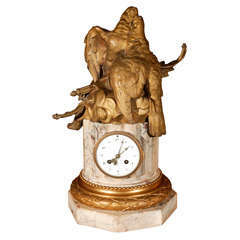 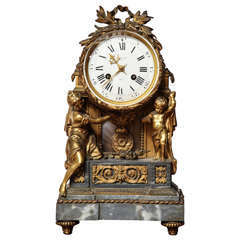 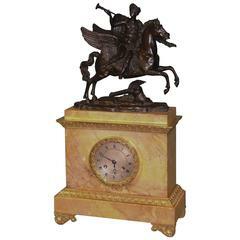 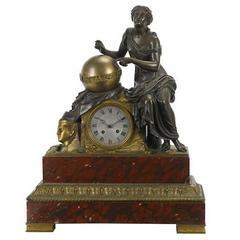 19th century large impressive French Dior bronze and white marble clock. 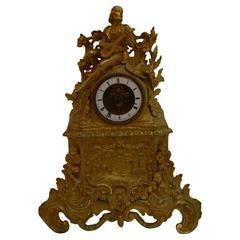 Large, 19th century French clock. 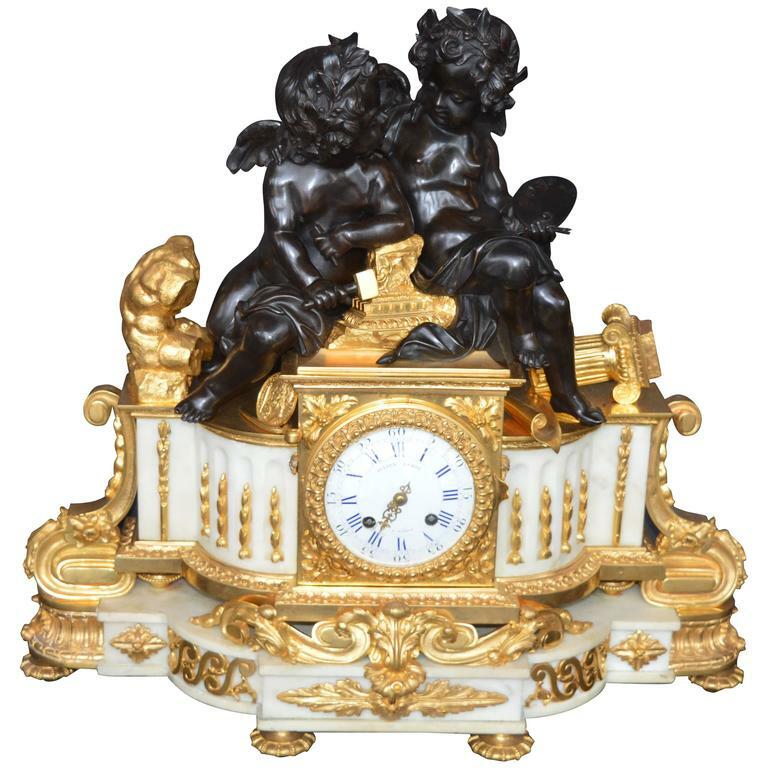 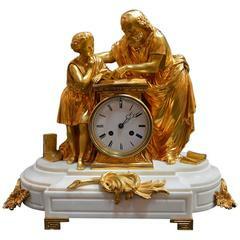 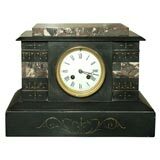 A large marble clock, carved with gold detail and white clock face. 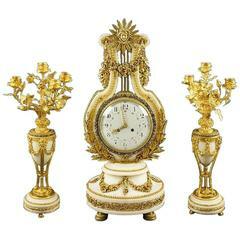 Originating in France, dating to 1880.